Obama administration security officials say President Barack Obama and Secretary of State John Kerry are not strongly opposing a South Korean plan to use Chinese telecommunications gear in an advanced wireless network, thus increasing concerns of cyber spying espionage against U.S. military forces in the country. U.S. officials told the Washington Free Beacon the threat of Chinese cyber espionage in South Korea was raised earlier this month in Seoul during the visit there by National Security Agency director Gen. Keith Alexander. Alexander, who also heads the military’s U.S. Cyber Command, urged South Korean military and intelligence counterparts not to allow the construction of a new wireless telecommunications network to include gear from China’s Huawei Technologies Co.
U.S. investigators have linked Huawei to the Chinese military and intelligence services. The global telecom equipment maker has been banned from several U.S. telecommunication company purchases and equipment deals since the early 2000s over concerns its gear poses communications security threats. Officials said the security threat in South Korea is compounded by the presence of 28,500 U.S. troops. The fear is that cell phone communications of troops will be intercepted by Chinese intelligence, sifted for military and war fighting data, and possibly shared with North Korea, Beijing’s close regional ally. One official said South Korean officials so far have not taken U.S. concerns about Huawei equipment seriously. The South Koreans initially viewed the U.S. security push not to use Huawei equipment as a trade issue. And South Korean officials have said the issue was also not taken seriously because messages were not delivered by senior or mid-level White House National Security Council or State Department officials. However, the Wall Street Journal reported Thursday that South Korean companies will use separate communications channels that do not use Huawei gear for South Korean government electronic traffic. Additionally, Huawei gear will not be used or connected to communications links with U.S. miltiary bases, U.S. officials told the newspaper. The security steps would not cover commercial cell phone traffic in South Korea that would use Huawei equipment. Secretary of State John Kerry met Thursday in Seoul with South Korean President Park Geun-hye and Foreign Minister Yun Byung-se. A State Department official said the telecom security issues was not discussed during Kerry's meetings. The focus was on regional issues, trade, and North Korea, the official said. The topic of cyber security in South Korea also did not come up during post-meeting press conferences in Seoul. A senior administration official who briefed reporters on the Kerry visit said earlier that North Korea was slated to be main focus of talks in South Korea. The official said economic cyber espionage would be discussed in Beijing with Chinese officials. Obama will visit South Korea in April as part of a four-nation visit to Asia and security officials said they hope the president will raise the Chinese cyber espionage concerns during the stop in Seoul. A senior administration official indicated that South Korea’s use of Huawei equipment is not a priority. "The United States has expressed strong concerns in multiple channels, but the end of the day these decisions are made by the Republic of Korea," the official said. Rep. Mike Rogers (R., Mich.), chairman of the House Permanent Select Committee on Intelligence and a congressional leader on the security threat posed by Huawei equipment, said he and others in Congress have pressed the administration to deal with the problem. 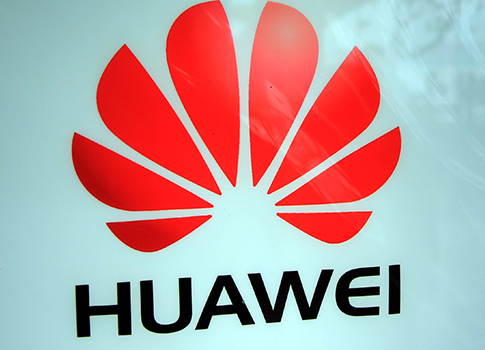 "Allowing Huawei equipment into South Korea's advanced wireless network could create dangerous operational security vulnerabilities for the U.S. and South Korean military and government personnel who will inevitably use this network," Rogers said in a statement to the Washington Free Beacon. "This equipment could also pose a risk to the South Korean critical infrastructure we would depend on in the event of a crisis on the Korean peninsula or elsewhere in Northeast Asia," he said. "I have been working with my House colleagues to pressure the administration to address this important issue." A South Korean embassy spokesman could not be reached for comment. An email to the embassy press office was not returned. South Korea is one of the world’s most wired countries and is planning to set up an advanced high-speed wireless telecommunications network in the coming months. Members of Congress, including the chairmen of the Senate intelligence and foreign affairs committee, have voiced opposition to the South Korean plan to buy Huawei hardware for the new national wireless network. Security and intelligence officials fear the equipment, that has been banned several times by the U.S. government and also has been a security concern in Britain and Australia, will boost Chinese cyber espionage and cyber warfare capabilities. A House investigation in 2012 found that Huawei equipment is suspected of having secret access points that would allow surreptitious entry into communications networks by Chinese hackers. U.S. officials have said Huawei has close ties to the Chinese military, which is engaged in widespread cyber espionage and cyber reconnaissance—what the military calls preparation of the battle space for a future conflict. Britain’s government in late 2011 set up a security group that inspects Huawei telecommunications equipment sold to British telecom firms for malicious software and trapdoors. Huawei was barred in 2012 from bidding on Australia’s high-speed broadband networks over cyber spying worries. Last week, India’s government launched an investigation into allegations that Huawei had hacked into an Indian telecommunications provider. China’s government has denied the company is linked to the military or engaged in cyber espionage. Sen. Diane Feinstein (D., Calif.), chairman of the Senate Select Committee on Intelligence, and Sen. Robert Menendez (D., N.J.), chairman of the Senate Foreign Relations Committee, wrote to Defense Secretary Chuck Hagel, Secretary of State John Kerry, and Director of National Intelligence James Clapper to oppose the Huawei sale in South Korea. The use of Huawei equipment there raises "serious questions and potential security concerns," the Nov. 27 letter said. "As you know, the U.S.-Republic of Korea alliance is a cornerstone for U.S. strategic engagement in Asia, and has served as a bulwark against North Korean aggression for the past six decades," the lawmakers stated. "Maintaining the integrity of telecommunications infrastructure is critical to the operational effectiveness of this important security alliance." Portions of the letter were made available by a congressional aide. Huawei spokesman William Plummer said the company is a leader in LTE technology, that the company’s gear is deployed globally, is "proven and trusted," and "no more or less vulnerable to compromise than the gear of any and all of our competitors." He dismissed reports of Huawei equipment security vulnerabilities as "politicking." The Wall Street Journal, which first reported the U.S. security concerns about Huawei telecom equipment purchases by South Korea, stated in December that the U.S. had privately expressed its opposition to any Chinese equipment deals. The newspaper quoted a spokesman for the South Korean wireless firm LG U+, a company connected to the global company LG Group, said the company’s plan to buy Huawei equipment should not be viewed a security concern. "Huawei just supplied the equipment to us," the spokesman, who was not identified by name, said. "The Chinese firm is excluded from running the equipment in the wireless communications network. The wireless communications network is run wholly by LG U+ only." House investigators in 2012 said they planned to turn over evidence of Huawei-related cyber espionage to the Justice Department, following a nearly year-long probe that found U.S. companies had discovered some Huawei equipment covertly transmitted data from U.S. networks to computers in China. U.S. companies were urged not to use Huawei equipment, including network routers, because of the company’s close ties to the Chinese government. The investigators also found that Huawei equipment was linked to malicious software found in one company’s network. A House intelligence committee report on Huawei said the U.S. government should block mergers of U.S. companies with Chinese telecommunications companies because of the cyber attack risks. This entry was posted in National Security and tagged China, Cyber Security, John Kerry, South Korea. Bookmark the permalink.